I’ve been in town for just about a week now and feel like everything is beginning to feel a bit normal. Classes started yesterday and my routine is beginning to settle in, but this past week has been anything but ordinary. Before I left the states, I had long been a fan of English football and hoped that my time abroad would open my eyes to what English sporting culture was about and how it might differ from the touchdowns and tailgating we experience in Tuscaloosa. I’m Tottenham til I die so when I saw that Tottenham Hotspur would be taking on Manchester United a few days after I arrived in Leicester, I knew that future Johnathan would be able to figure out how to manipulate the rail system and get to London even if I had only been in the country a few days so I purchased the ticket and eagerly awaited. 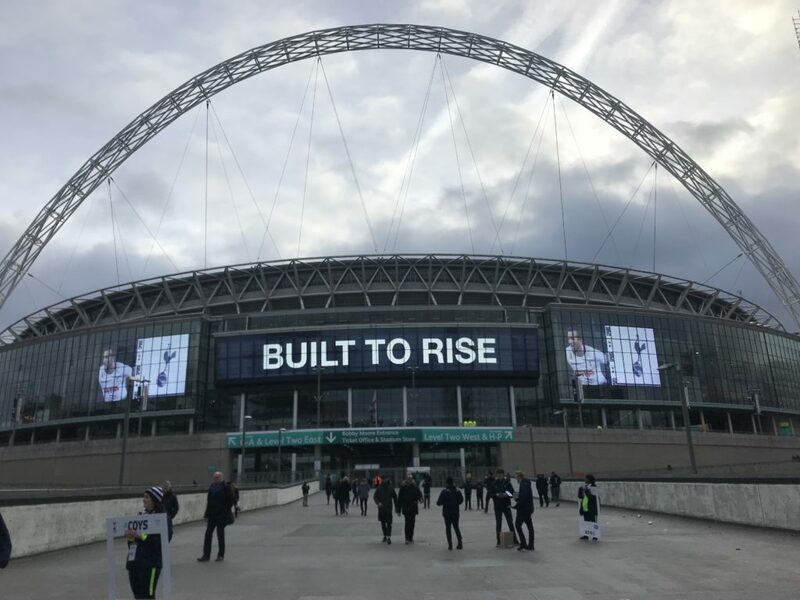 After a lot of coaching from my English flatmate Ivana, I set off Sunday morning alone to catch the train to London and maneuver the underground to make my way to the home of English Football, Wembley Stadium. The English rail system is incredibly organized and made the journey impossibly smooth and I met some truly fantastic people along the way. The match was a dream come true, and though the result didn’t go our way (1-nil to the visitors), I know that the memories I made there will not be shortly forgotten. Heres to many more. I immediately started planning my next adventure.